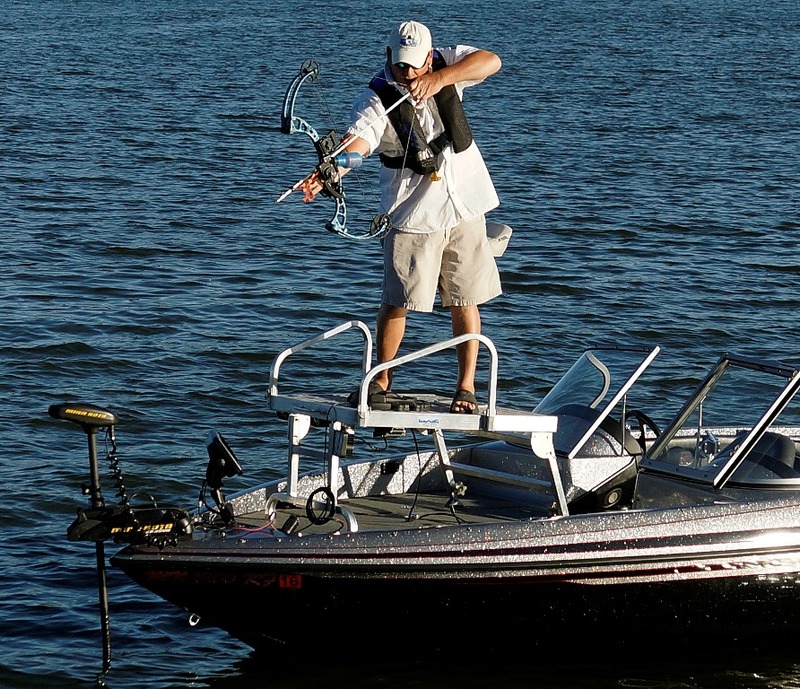 "THE PORTABLE EDGE BOW-FISHING PLATFORM"
Welcome to the future of Bowfishing Platform's. 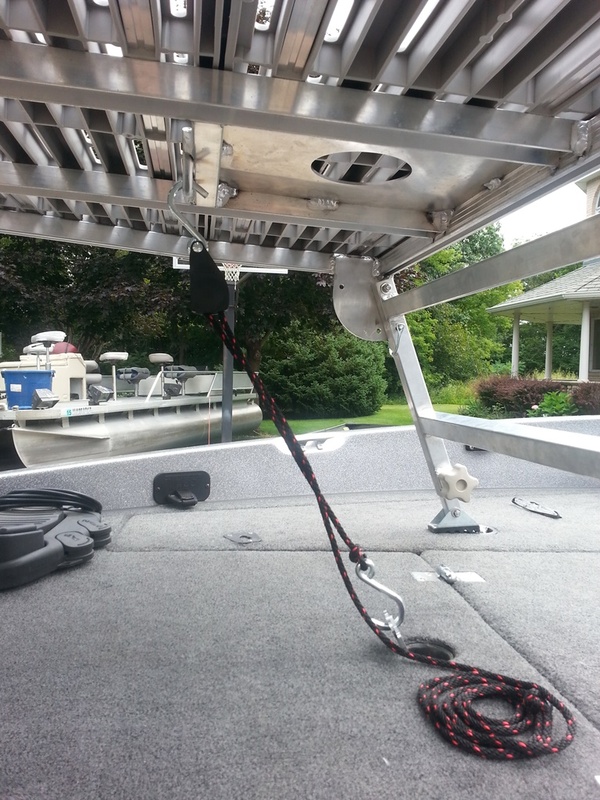 Our patent pending portable bow-fishing platform was professionally engineer to convert most boats to a bow-fishing rig in minutes. 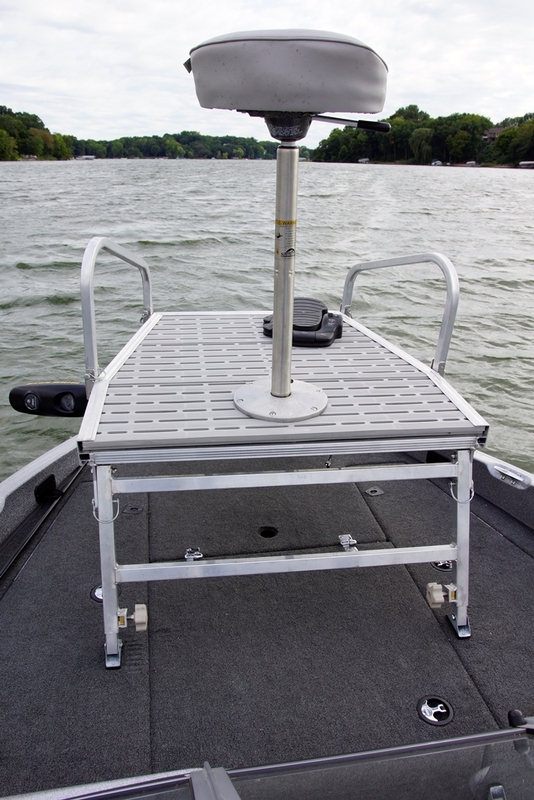 Just unfold the platform, connect the attachments and your ready to hit the water. If your thinking of trying night bow-fishing just add our optional Led light kit. With four 27 watt lights you will be able to hunt for hours with a single battery. The platform is great for sight fishing. Day or night, the height of the platform will let you spot those monster fish in the shallows.